For me, the week before Thanksgiving is perfect for a food tasting because I miraculously develop a big appetite at least 3 days before the holiday. So when I was invited in to Lowcountry for dinner that week, I gladly accepted. Lowcountry has been on my list for a long time, and having been there now, I’m slightly upset at how long it has taken me to experience the seafood deliciousness at this eatery. Owned by a young couple, Pan and Dana, both of who work hands-on at the restaurant seven days a week, Lowcountry opened last September. And you can tell that this year-old establishment has already stolen the hearts of its Lakeview residents by how packed it was on a Tuesday night, two days before Thanksgiving. I was personally very happy to be part of the hopping scene and partake in the adventure that was about to ensue. The menu offers a full list of beer and cocktails. We ordered their two most popular drinks, The Good Life and The Lowcounty Limeade. Blown away with just the first sip, I had to ask Pan about the brains behind these drinks. He pointed to their bartender/mixologist formerly at The Aviary. That explained it! Each drink presented such a fine balance and subtlety that it made it impossible to stop at one. For dinner, we started with several of their recommended appetizers, the Shrimp Bahn-Mi, Garlic Beignets, Honey Butter Jalapeno Cornbread, and the Salt & Pepper Soft Shell Crab from the fried fare section of the menu. Everything was stunning in taste and appearance. The Bahn-Mi came with a Sriracha type aioli that provided a wonderful, subtle smokiness to each bite. Pan said it was a secret recipe and I probed a little on those secret ingredients. You would probe too if you had tasted that sandwich! 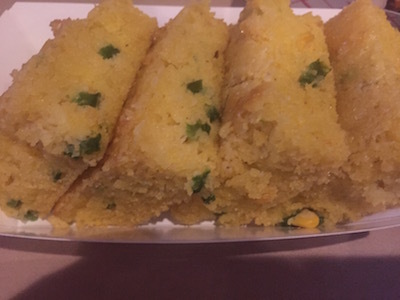 The Jalapeno Cornbread, also a family recipe, was out of this world. I couldn’t get over how moist and non-crumbly it was. Four beautiful pieces of bread offering a delicate sweetness amidst spice kicks from the jalapeno. Very addicting! Despite the carb-load we just had, I was ready for the four pounds of seafood boil that arrived shortly after. I told you I was well prepared with my appetite. One of my favorite selling points of Lowcountry that I think sets it apart from its contemporaries, is that the presentation is neater. The Shrimp Head Off, King Crab Legs and Lobster were brought nicely laid out on trays, which I’ll admit made the experience more manageable. We immediately got to work, slurping on the garlic and Cajun spice infused meat that was soaking in a medley of sauces. We purposely left out the corn and potatoes add-ons so we could keep our eye on the prize! All the meat was utterly tender with a natural sweetness to it. And the demos on their website on how to successfully crack & open those crustaceans came in very handy. Don’t judge, but we ended our meal with an order of their Deep Fried Oreos. 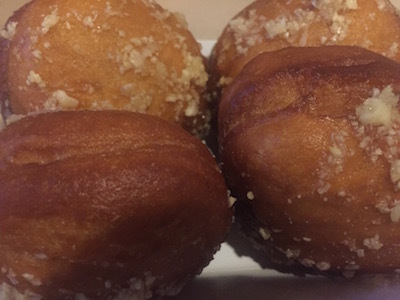 At Lowcountry, it is dipped in a Rice Krispies batter and deep-fried to perfection. There’s something so comforting about this sweet snack and it’s so well done here. Thrillist recently listed it as one of Chicago’s eleven best desserts, so you get the picture! Lowcountry is much more than just another seafood centric restaurant. It’s perfect for big groups, has a great vibe, provides a tidier experience if you don’t want to get your hands too dirty, and also offers a nice selection of craft cocktails and a place to indulge your sweet tooth. What more can you ask! And for me, the entire experience was well worth any splatters and stains on my clothes!